The process of new car financing can be a bit of a challenge if you are unfamiliar with it. While many people pay attention to the price of the car itself, many of those same people ignore the money that they are throwing away on financing. Here are a few options that you might want to consider when financing a new car. Before you get started shopping for a car, you might want to consider getting financing preapproval. This will make the process much more simple when you get ready to buy a car. Getting preapproved is relatively simple and it takes little time to accomplish. You will talk to a lender about getting preapproved and they will have you fill out an application. They will check your credit and make sure that you are a borrower that they want to work with. At that point, you will be able to locate a car that you want and you know that you will be able to finance it immediately. By getting preapproved, you may be able to secure a better deal on the financing as well. When you are shopping for a new car, most people understand the importance of shopping around. However, you should also consider shopping around for the best deal on financing. 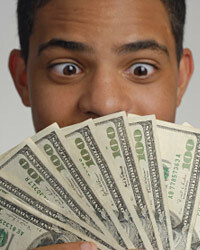 Dealers will periodically offer great incentives on their financing plans. In addition to that, traditional lenders will also offer some good deals as well. By shopping around, you will be able to find out what is available in the market and you will not miss out on any opportunities. One option that you need to consider is financing directly with the dealer. Every car dealers going to have some type of financing program available to you. Many times, they will have multiple financing programs so that they can get as many people approved as possible. Because of this, they are often very flexible and they can provide you with a number of different payment opportunities. If you do business with a local bank, you might want to check on financing your auto loan with them. Many times, you will be able to get a great deal by working with a bank that you are familiar with. Because you are already an existing customer, they might give you some type of extra incentive or a lower interest rate. Before you finish shopping around for financing, you will want to make sure that you visit a local credit union. Many people overlook credit unions when trying to finance a new car. However, credit unions will often have the lowest rate of anyone in the area. Credit unions are nonprofit organizations and as such, they do not have to pay taxes to the federal government. They can then pass the savings onto their customers in the form of lower interest rates. Because of this, their rates will often be lower than the banks in your area.